I’ve been working on Astorath over the weekend! He’s been a lot of fun to paint, providing a really nice range of surfaces to work with. Such a characterful model – all sorts of wrath and majesty. The leaping pose is paired perfectly with the snarling visage and flowing hair. I tried out the newish GW painting handle for the first time on this model (Nachobuddy had really wanted it!). I’d personally never seen much need for one, but I have to admit it was useful for working with this resin miniature to prevent damaging the sometimes more susceptible paint work (than on plastic). Great for minimising contact, it also feels quite good to hold and brace against. I can see why people would want to buy multiples for ease of batch painting, although I think I might only use it for special characters or resin if needed at this point. 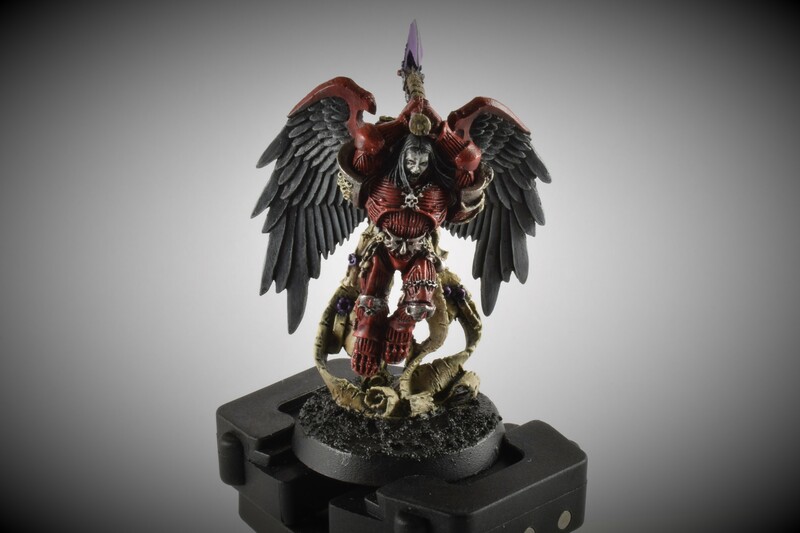 This awesome miniature was painted up as per my usual Blood Angels Successor scheme, with a few variations. 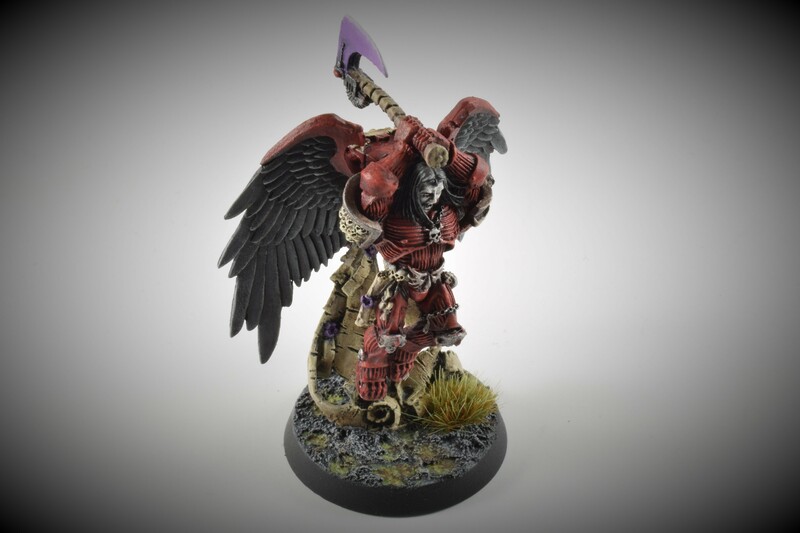 For Astorath, I spent more time doing layers of red for the armour (adding in Carroburg Crimson and Evil Sunz Scarlet), mixing shades of grey for the wings, and putting down lots of glazes for the purple axe. I’ll now need to decide how I want to tackle some script for the reams of parchment falling from the model.